Danielle sent us a photo from her weekend! 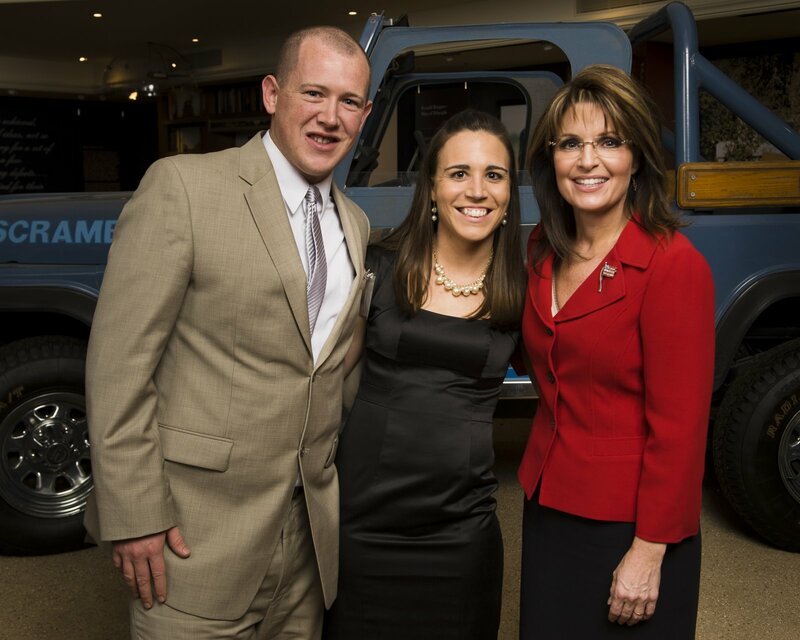 Yes, that is Sarah Palin with Danielle and Ryan in front of Ronald Reagan's Jeep Scrambler at the Reagan Ranch Center. I'm not really big on meeting politicians/celebrities, BUT I would LOVE to meet Sarah Palin.